Bigcommerce makes it easy to have a store set up and ready to sell in a matter of moments. It’s cloud-based with a strong and ever-expanding feature set. 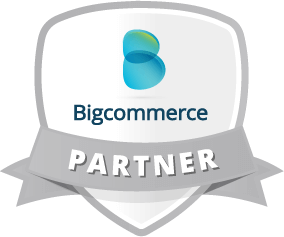 Bigcommerce is great for newcomers and large businesses alike with a pricing structure that is designed to increase with your success. Intuitive storefront editor for quickly adapting themes. Average uptime exceeding 99.99%, versus the 99.5% industry average. Sites that load fast for better SEO and conversion. Multi-level security and DDOS defence. PCI DSS Level 1 certification, saving you the hassle and risk of compliance infringement. Single-page checkout improves conversion an average of 12%. Abandoned cart saver recovers 15% of lost sales on average. “Buy buttons” on Pinterest, Facebook and Twitter turn social browsing into buying. Other leading features: advanced SEO, couponing and discounting, faceted search, shipping calculation, fraud prevention, and reporting. New enhancements added every quarter with no development needed.